All pupils have a timetable which includes core subjects and their option choices. Almost all pupils take English Language, English Literature and Mathematics. In Science, all pupils begin studying Physics, Chemistry and Biology as separate subjects, with some reducing their programme to two sciences in Year 11. These give students a breadth of experiences in addition to their GCSE courses. PE and PSHRE are compulsory for all pupils. PSHRE includes aspects of Citizenship and Careers education. and a Language (either French or Spanish). Spanish can only be chosen if it has been studied in Year 9.
then choose one additional subject from the list of optional GCSE subjects. 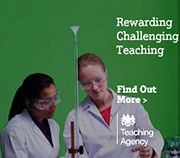 Because the EBacc is the established academic “gold standard”, the majority of pupils are encouraged to follow Route 1, particularly if they are expected to gain high grades in the six EBacc subjects. This Route is for those pupils who find languages or humanities (Geography/History) particularly difficult and who are unlikely to achieve high grades in the six EBacc subjects but either want to study all GCSEs, or a mixture of GCSEs and other qualifications. Here pupils must choose three subjects from the lists of optional subjects. A few pupils will be following individually-tailored programmes of study and activities. These may include work experience placements, practical activities in school, as well as studying appropriate subjects from the list of optional subjects. It is vital that all pupils also select one Reserve subject choice that they would be happy to study. Every attempt is made to accommodate the individual’s own choices, but occasionally, some pupils are required to take their Reserve choice. Art & Design, Business Studies, Child development (OCR National), Computer Science, Drama, Economics, D&T: Electronics, D&T: Timber, Food Preparation & Nutrition, French, Geography, History, Music, Religious Studies, Physical Education, Spanish. Engineering (L1 &/or L2), ASDAN Certificate of Personal Effectiveness (CoPE), Health & Social Care (L1), Travel & Tourism (L2).